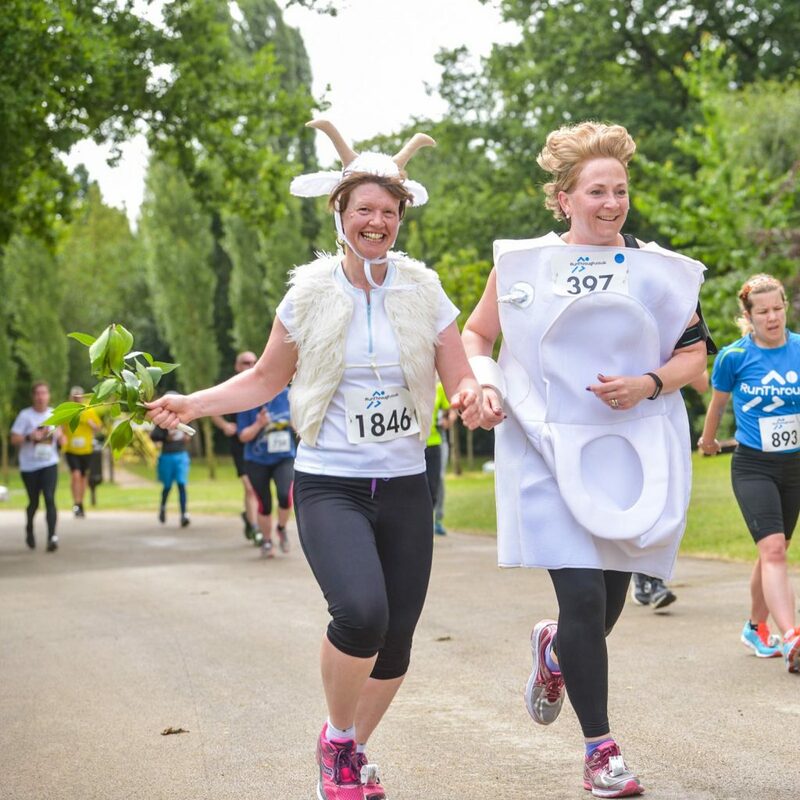 In June we were joined by a Goat and a Toilet at the RunThrough Crystal Palace 5k & 10k event – that’s right a Goat and a Toilet. 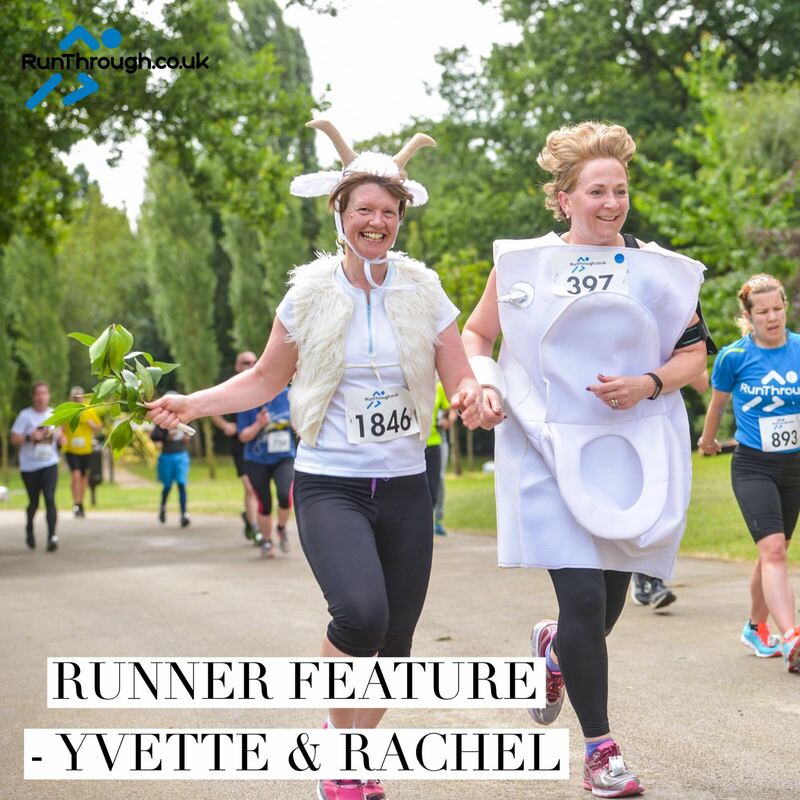 This wasn’t just a random fancy dress run these ladies had a reason behind their outfit choices for this race and we want to share this with you! Yvette Croucher and Rachel Skeath ran the 10k at Crystal Palace in aid of the charity Go Make a Difference with the hope of reaching their fundrasing target of £1,000. ‘Go Make a Difference‘ is a small independent charity established in 2008, which helps people in some of the poorest regions of Africa. Working directly with local communities they operate a wide variety of volunteering projects to help change lives. The projects Yvette and Rachel hope to be involved with during their visit include helping to provide latrines and water tanks for local schools and families and goat sheds and goats for those people most in need in remote areas. This may explain their unusual choice of dress for this run! Both Yvette and Rachel left for Tanzania this week as part of a small group of volunteers to work with Go Make a Difference in Musoma for 2 weeks. All money raised from their fundraising efforts is going directly towards funding the projects they are participating in this summer. They have exceeded their fundraising target as it currently stands at £2,320 – we are so very grateful to all those that have sponsored us so far! If you would like to donate please do so on their page HERE.